Trump’s threat to invade Venezuela amounts to a big gift for embattled leader Maduro. 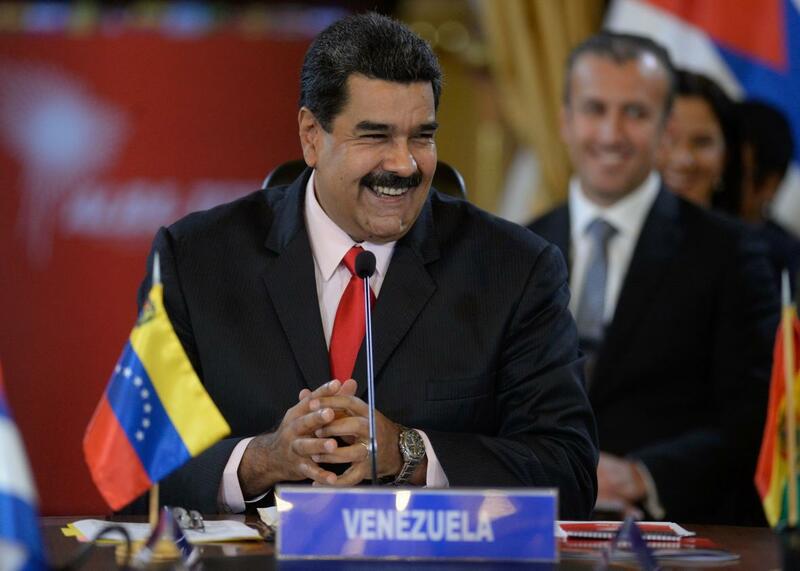 Venezuelan President Nicolás Maduro smiles while giving a speech during the Bolivarian Alliance for the Peoples of Our America (ALBA) summit at the Miraflores presidential palace in Caracas on March 5, 2017. President Donald Trump shocked the world Friday when he seemed to offhandedly escalate the U.S. response to Venezuela’s political crisis by threatening military intervention. Trump made the surprising comments when he was asked by a reported what options were available for the United States to deal with Venezuela. “We have many options for Venezuela and by the way, I’m not going to rule out a military option,” Trump said at his golf club in Bedminster, New Jersey. A short while after Trump threatened military action, the White House said Trump had refused to take a phone call from Maduro. “President Trump will gladly speak with the leader of Venezuela as soon as democracy is restored in that country,” the White House said. The Pentagon, meanwhile, said that the Department of Defense has not been given any orders to prepare military action against Venezuela.